Developing and promoting standardized business models and practices that foster a shared understanding of workplace benefits business principles, terminology and data. Establishing technical standards, specifications and best practices that enable communication of business data between providers and consumers of workplace benefits products and services. Creating standards for the integration of IT applications in the workplace benefits industry. 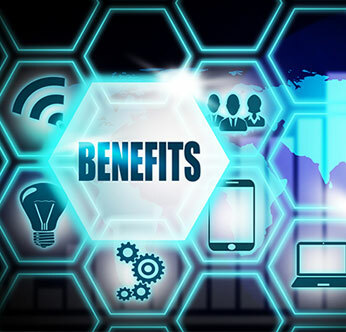 Communicating the requirements of the workplace benefits industry to IT suppliers & users, both inside and outside the OMG. Many employers rely on third-party benefits administration providers to help them manage their benefits. The Workplace Benefits data exchange standards will streamline processes and reduce the complexity and associated costs of processing employee and company information. Members of the Task Force are establishing standardized values and exchange mechanisms for products and services with a focus on non-retirement, non-medical insurance products typically offered in the workplace. These include, but are not limited to, life insurance, AD&D, short- and long-term disability insurance, various types of health insurance, leave management, group legal services, long term care insurance, mini-med products, pet insurance, identity theft, and fraud protection. Are you a group insurance carrier or a benefits administration technology company? Join the Workplace Benefits Domain Task Force. Contact the OMG Business Development department at bd-team@omg.org, call + 1-781-444-0404, or join now. Join the Workplace Benefits Domain Task Force.